Safe Lockout can happen when you forgot to replace the batteries or the mechanism is jammed. Another option to be lock out of your safe is when you forget the combination code. Safes give people an additional peace in mind. There are many brands, sizes, shapes and styles of safe boxes. From a small lockbox that people have at home to a commercial safe in business, and not to mention a walk-in safe room that usually you can see in the banks. Most of the safes are fire-proof. But also then, fire-proof strength has a rate. This combined the temperature of the fire and the length of time the safe can stay in a fire without internal damage. As higher is the rate of fire-proof, the better. One of the most common reasons to get locked out of your safe is when you forget to replace the batteries. The average time of replacing the batteries is 3 years. After this period of time, the batteries can be drained out, at any day. When this happens, a lucky safe’s owner has the safe door open while the batteries drained out, so he can replace the batteries easily. Another common reason is forgetting the combination of the same. For some reason or another, we change the combination code to open the safe without writing down the new code on a paper. If you forget the combination code, check the user manual of the safe, maybe you can find a reset code. If you can’t find a reset code, you can call the customer service of your safe to provide you with a new combination and keys. Some of the safe companies will troubleshoot opening the safe with you over the phone. Other safe companies publish instruction online. For instance, Honeywell Safes has published instruction of all the information needed in order to request a new combination code and key. Please read PDF file here: Lost combination and replacement keys. In short, there are so many reasons to be locked out of our safe that we need to be careful. LockTech24/7 locksmiths can help you when you’re locked out of your safe or your lockbox. 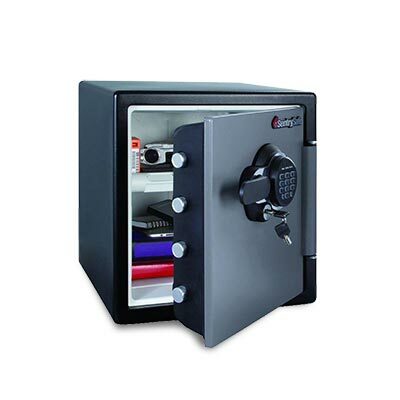 If your safe has only lock, without a keypad board for combination code, we can pick the lock to open the safe for you. LockTech24/7 is mobile locksmith company serving Allentown, Bethlehem, and Easton PA. We help to open safes of residents in the Lehigh Valley, and the surrounding area. Our locksmiths are available 24 hours a day to provide you with emergency locksmith services. This includes 24-hour emergency lockout services. With this in mind, whenever you need our safe lockout service, we’re available to help. Don’t hesitate to call us when you need to unlock your safe. Please be specific about the brand name and size of the safe.